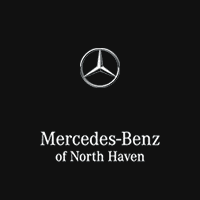 2011 Mercedes-Benz M-Class ML 350 4MATIC® Recent Arrival! Odometer is 11332 miles below market average!2011 Mercedes-Benz M-Class ML 350 4MATIC® Recent Arrival! Odometer is 11332 miles below market average! 2007 Harley-Davidson Recent Arrival!2007 Harley-Davidson Recent Arrival! 2015 Jeep Wrangler Sport Willys Wheeler Recent Arrival! Clean CARFAX. CARFAX One-Owner. Awards: * 2015 KBB.com 10 Most Fun SUVs * 2015 KBB.com Best Resale Value Awards * 2015 KBB.com 10 Best SUVs Under $25,000 * 2015 KBB.com 10 Coolest Cars Under $25,0002015 Jeep Wrangler Sport Willys Wheeler Recent Arrival! Clean CARFAX. CARFAX One-Owner. 2016 Harley-Davidson Recent Arrival! Clean CARFAX.2016 Harley-Davidson Recent Arrival! Clean CARFAX.